Flat Ironing your hair can take a toll on it. I pretty much use a flat iron every day. Here are a few tips to help keep your hair healthy, and not dry. Always, always, always use a heat protective spray before you blow dry and flat iron. I like the Tresemme Thermal Creations Heat Tamer Spray. Do a weekly deep treatment for your hair. 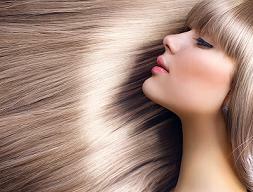 An easy weekly treatment to do to your hair is to comb olive oil through your dry hair and cover with plastic. Let it sit for at least 30 minutes and then rinse out and wash your hair like usual.